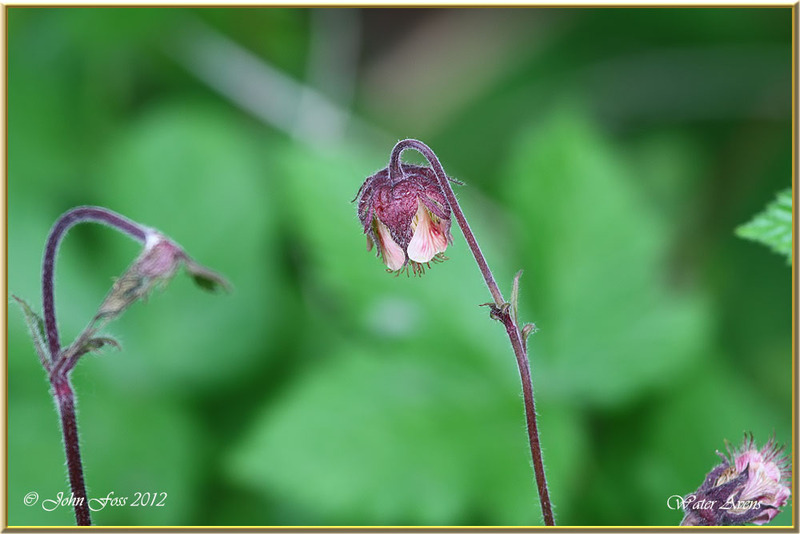 Water Avens - Flowers from May to September. 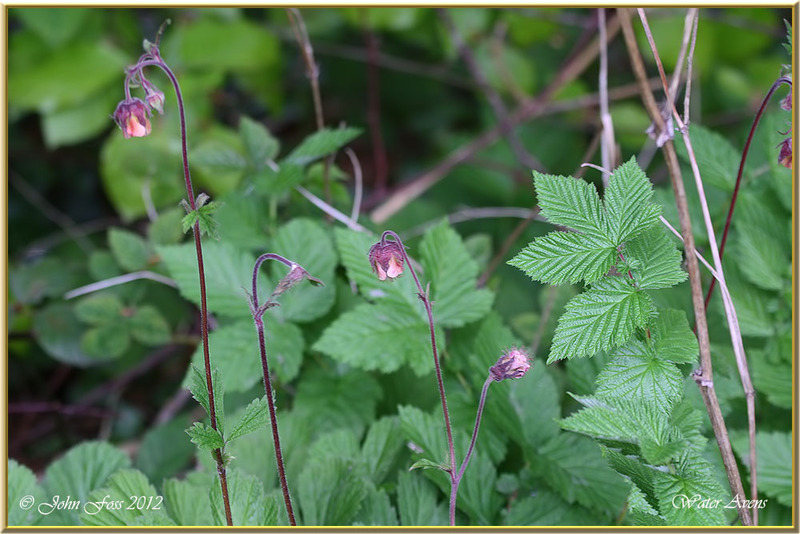 Other names for the plant are Nodding Avens, Drooping Avens, Water Flower and Cure-all. Found in or around damp places, such as moist ditches, stream edges and woods. 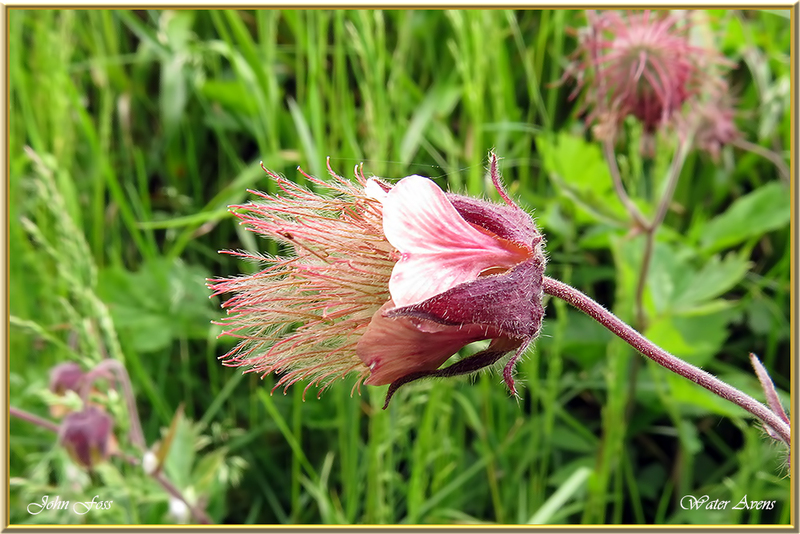 The plant was once used to flavour beer and can be used as seasoning in cooking. This one was photographed at Lough Key Co. Roscommon.